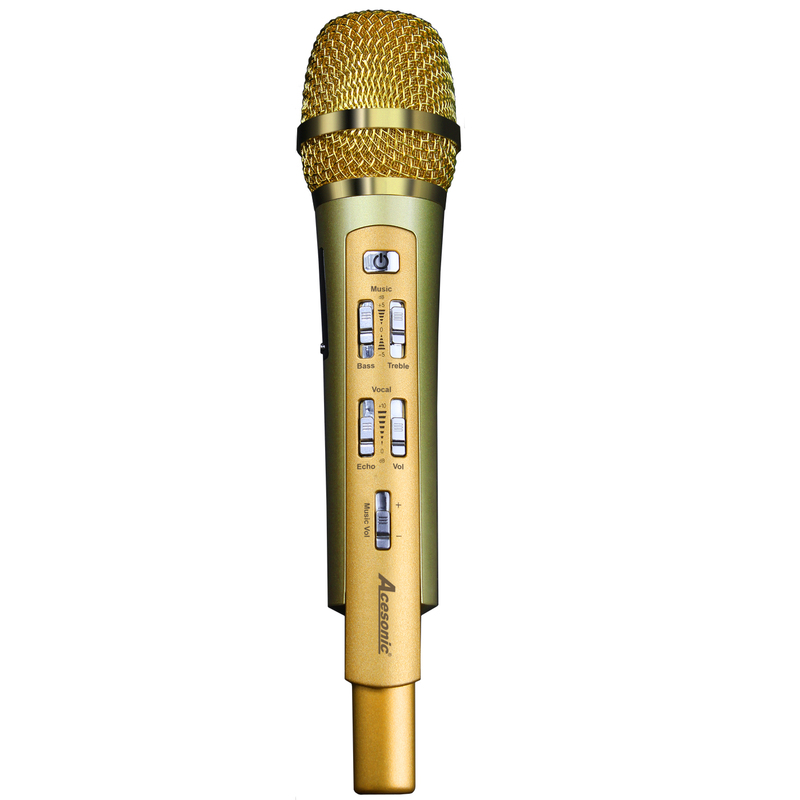 Acesonic RadioStar Karaoke Microphone with Bluetooth Receiver & FM Transmitter! Use with your Smartphone! For a limited time only, receive free Acesonic FM Transmitter with 1.8mm-to-RCA Audio Cable ($14.95 Value) with the purchase of this item. 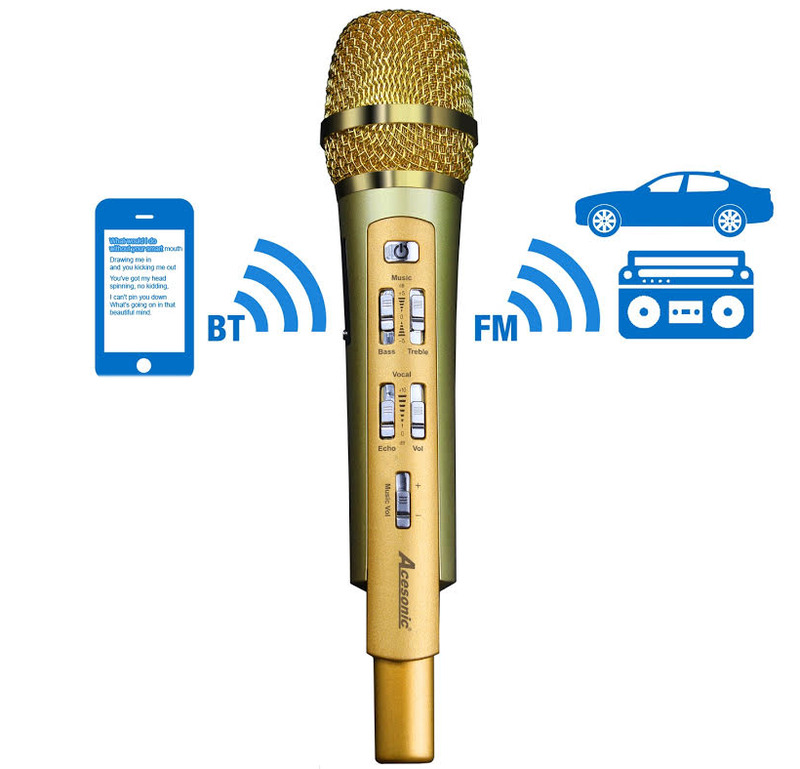 The Acesonic Radiostar Microphone is a portable karaoke microphone that can be used with any Bluetooth music source to sing along and transmit the sound to any FM radio station. It is perfect for carpool and field trip use. 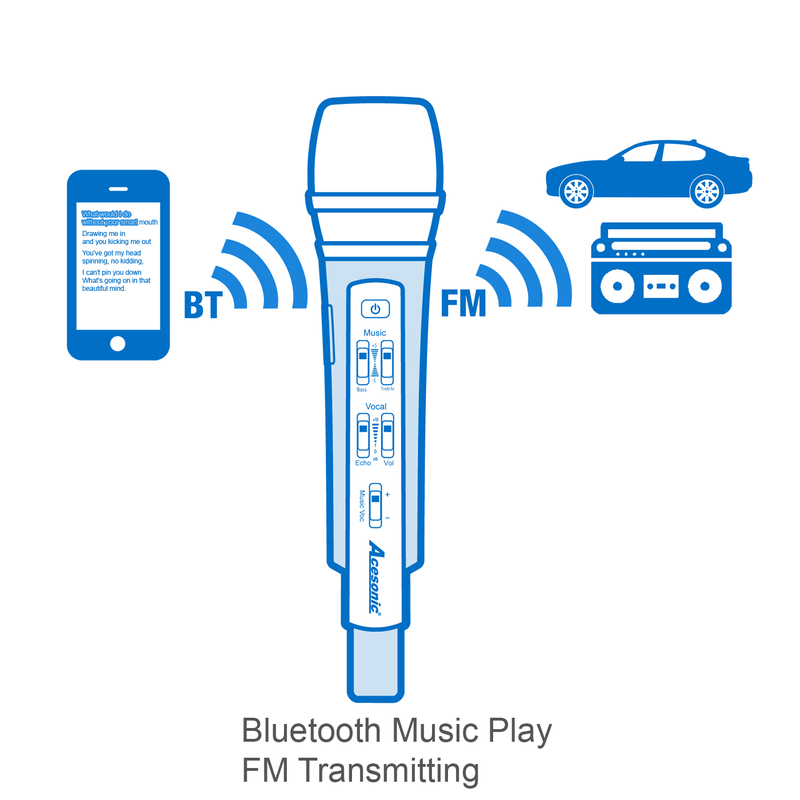 Start the party by connecting your tablet or smartphone through Bluetooth, play some music and start singing along. The Radiostar transmits your karaoke music to your car's FM radio channel through any bluetooth device so just turn up the volume and let the party begin. 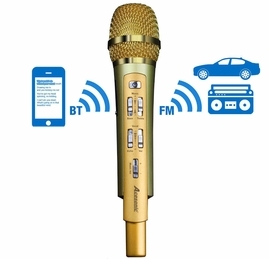 Enjoy singing thousands of songs by pairing the RadioStar Microphone to your smartphone, tablet, or computer using most karaoke apps or Youtube karaoke videos. In addition to Bluetooth, you can connect your devices through 3.5mm AUX cable or your PC with USB Audio. Add a Second Mic to this!! I own this product.....very good one too. 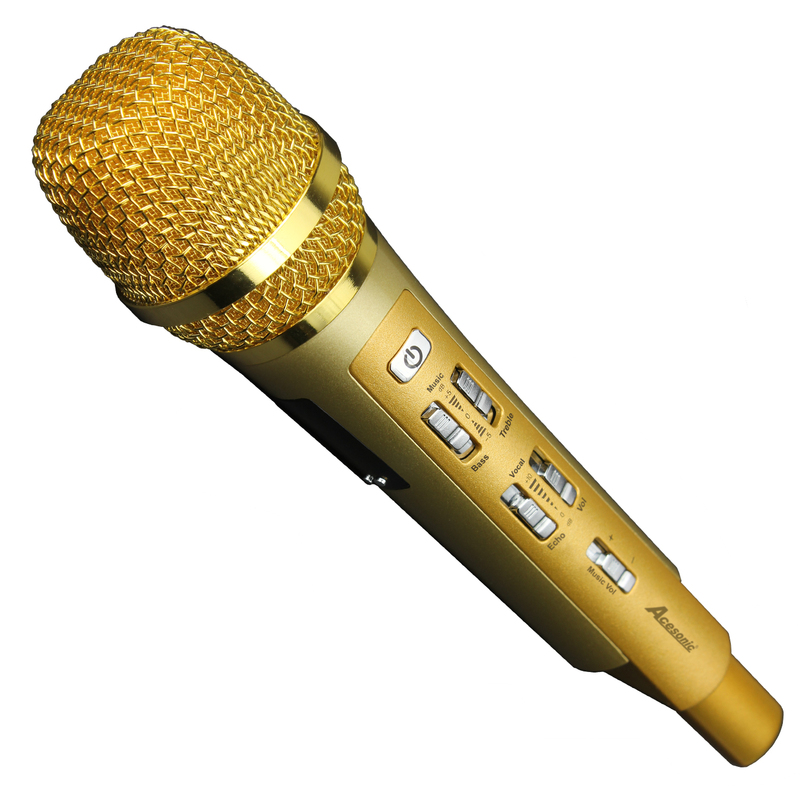 Do look into possibility of adding a SECOND MICROPHONE, so we can sing DUET SONGS!! !